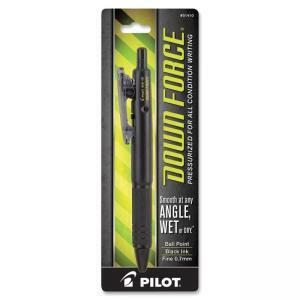 Pressurized ballpoint pen writes smoothly at any angle - in wet or dry conditions - and even floats. The innovative design delivers long-lasting, uninterrupted ink flow. Durable, lightweight pen is great for contractors, engineers, plumbers, aviation and medical services. 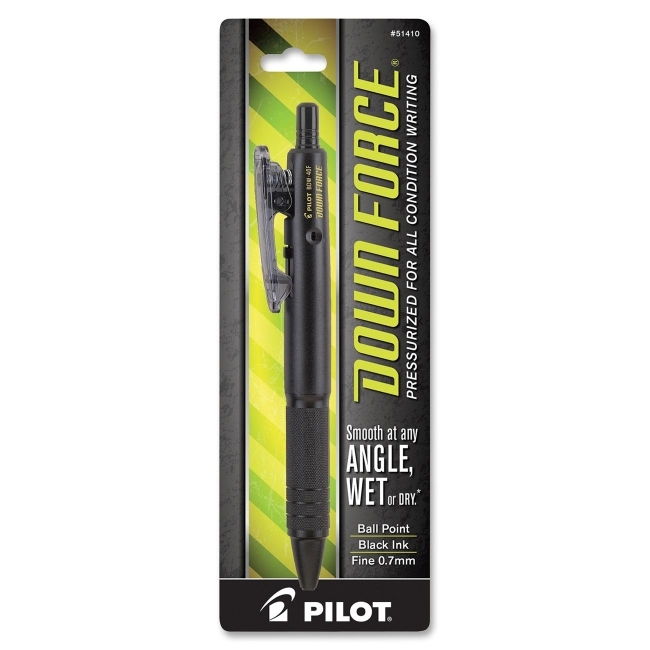 Down Force Retractable Ballpoint Pen also features a sturdy, metal spring clip; medium point; black ink; textured grip and plunger on the top for easy retracting. Ballpoint pen is refillable.